The former president of The Gambia Football Federation, Seedy Kinteh, has been banned for four years. Football’s world governing body, Fifa, has found him guilty of corruption. “The adjudicatory chamber found Mr Kinteh guilty of having violated art. 20 (Offering and accepting gifts and other benefits) and art. 21 (Bribery and corruption) of the 2012 edition of the Fifa Code of Ethics,” Fifa said. His ban covers all football-related activities at both national and international level. The investigation against Kinteh began on 1 March 2017 and was linked to Fifa’s presidential elections in 2011. He was named in a 2014 investigation report by Fifa’s then-ethics prosecutor Michael Garcia for taking payments from former presidential candidate Mohamed Bin Hammam. 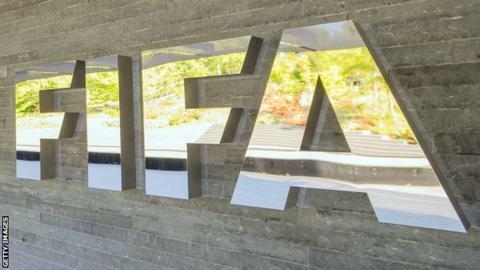 Bin Hammam was suspended in 2011 days before the election against then-president Sepp Blatter after being implicated in bribing Caribbean voters. As well as the suspension, which comes into force immediately, Kinteh was fined US$200,000.